DigiPath Labs now offers StrainSEEK™ – a Medicinal Genomics proprietary DNA sequencing service for the cannabis plant. The service detects and records the unique genetic profile of any cannabis strain. The unique genetic profile of the strain is digitally registered in the blockchain using a cryptographic hash function. This allows for the registration of unique strain intellectual property. 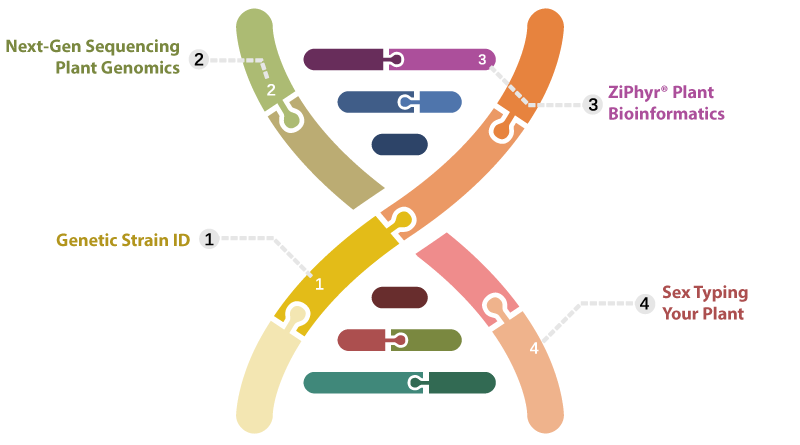 StrainSEEK™ is the only platform that enables the permanent digital publishing of a strain’s unique genetic ID for future reference. StrainSEEK™ allows for an individual strain to be mapped against Medicinal Genomics’ Cannabis Phylogenetic Tree. StrainSEEK™ users can view their strains genetic proximity to several cannabis land races as well as many modern cultivars. As the phylogenetic tree grows, a distributed consensus on the accuracy of naming conventions will emerge. This will end the “strain name game” and will provide medical cannabis patients with a means to identify medicinal strains with proven therapeutic benefits. Call DigiPath Labs today to schedule your cannabis strain today for perpetual proprietorship with Strain StrainSEEK™.